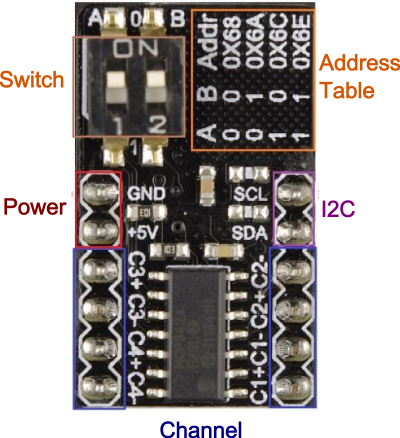 The module integrates MCP3432 A/D converter chip. The module can provide analog input function for Raspberry Pi and provide high accuracy analog input for Arduino. User can select the PGA gain before the analog-to-digital conversion takes place. This allows the device to convert a very weak input signal with high resolution. (a)One-Shot mode: the device performs a single conversion and enters a low current standby mode automatically until it receives another conversion command. (b)Continuous mode: the conversion takes place continuously at the set conversion speed.